It was a fun anime to watch and it was pretty good. The characters aren't dumb or bland and the plot is interesting. I don't really have anything else to say except that if your scrolling reviews for info all I can suggest is that you give it a chance. At first I didn't like too much it but it grew on me and now I can say I thoroughly enjoyed it. Also, I want another season. Characters- unique full of life and their interactions and relationships make the anime from good to great. Who Knew Business and Science Could Be So Interesting? Amazing what they managed to show so strongly in only 12 episodes. Tight, smart writing, interesting backstories and subplots, and lots of fun to imagine that mars could harbor such colonies. Beautiful artwork, the first thing I look for in animated features. Memorable villains, and clever, innovative thinking on the part of the team. Great little yarn! Yowzah!! Definitely watch this one, it'll surprise you. Honestly, like I'm sure some other reviewer might've pointed out, this show starts out slow-ish, not really explaining things and seemingly "generic". It picks up and shows to be so multifaceted that it might catch you off guard. Honestly, this is an anime that relates to pretty much every college student alive who wants to be apart of something great. Not overly flashy, not too subtle, drama involving deadlines and real world business. Engineers and scientist like me can take a page out of this book when wanting to create something magnificent. The nice thing about this anime is that there is an interface between corporate world and high school, instead of the typical high school only anime. The characters are quite good if you give the show a bit of time to get going. We ended up watching the first bit and taking a break for some hype current-season shows, only watching an episode with dinner when there were no more updated shows for the week. It picked up a lot more towards the late-middle. The other thing you just have to accept is that every character is some kind of prodigy. This is a super-class. There are no normal, average people here, they're all super geniuses in their field. It's a bit of a hard sell, but I can imagine a program like A-tec being set up. However, this is definitely an anime that needs a second season. They spent a lot of effort building up a political situation that needs a bit more development. The ending is "Good enough" but it leaves you with a bit of "and now on to the next, bigger challenge!" We must have more of it! This is a great anime! It's a bit confusing at first and there's still some questions left unanswered at the end, but that only serves to set it up for the next season. I really hope they make a season 2 of this anime. I haven't seen an anime deal with the issues this one brings up with all the plans within plans at a corporation going on and how you never really know what's going to happen half the time. They really nailed that. My only complaint is that the first season was too short. After watching the whole season, I'm definitely praying for a second. I'm also sorry it took me this long to watch it. 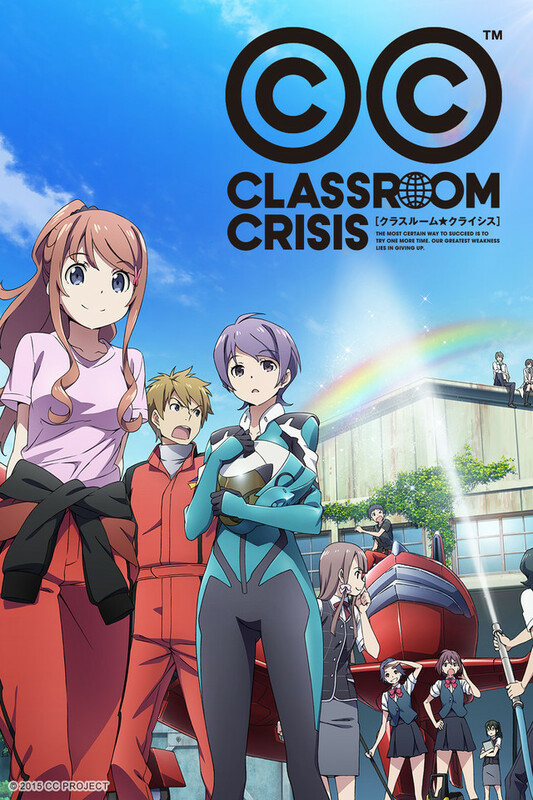 This show definitely blends in a few genres and would appeal to a wider variety than what a general school fighting evil show would pull in, but the summary does not do it justice. Essentially a bunch of engineers are thrown in the middle of corporate warfare and have to quickly learn how to fight back in order to keep their team together. I would not doubt you will find yourself shaking your head at the antics of the sometimes clueless engineering tensai. Here's to hoping for a second season! I tend to be very picky with anime, and don't quite like the whole sci-fi theme but this anime is SO GOOD!!!! It mixes in a good variety of mystery and school life to the story and really brings out the whole reality concept as well. I loved the twists in the story especially the ending bit (no spoilers). But i do hope season 2 premieres soon. This anime expresses defying hardships and impossible standards, as well as how to show kindness to a potential enemy, adding good business sense with it! I love the storyline and I love how the character development fanned out! I would have loved to see the relationships grow more between the character earlier on in the show, but I don't mind how it ended!